June 7th Dallas date just announced!! I just bought a ticket for their June Dallas show. Anyone else going? fingers crossed that we aren't going out of town, man....will keep you posted. Some new material was just recently posted from a Chapel Session courtesy of Heather at the I Am Fuel You Are Friends website. If you are a fan or even remotely interested in this band then you need to download this session right now. I would really like to hit their June 2nd show at the Fillmore. I totally spaced when the tix went on sale. Does anyone have, or know of someone who has, any spare tickets to this show? I'd rather avoid Stubhub and Craigslist if possible, but if all else fails, I might have to go that route. Just thought I'd give it a try here first. Thanks, all! Did you end up going tonight? Would love to hear about it. great band!!! perfect for opening to my morning jacket! Just got home from the sold out Dallas show. This band is the real deal! Very fun show...great live performance..great crowd..just so much energy in the room. Everything sounded really great live. The new songs all sounded great and everyone in the band gave it their all. I look forward to seeing them in concert many more times. Saw that yesterday. October is going to be a great month for new music. This one and PJ on the 15th and then Arcade Fire on the 29th. The new single that came out yesterday sounds pretty good. Looking forward to the new album. single sounds awesome. second disc will be way better than the first i'm thinking. 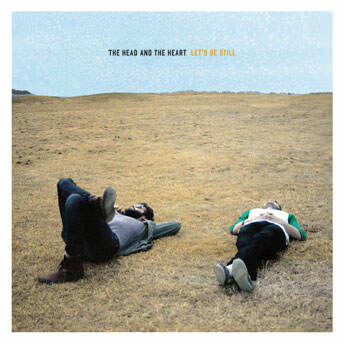 Head and the Heart are freakin' awesome. Can't wait for the new disc, really digging the new single. New Head and the Heart today. Haunting song. I read somewhere that the new album will have some different sounds than the debut due to them touring with My Morning Jacket and realizing they were (for lack of a better word) bored with strumming type songs. I love MMJ so if this disc is at all inspired by them I am really looking forward to this album. 10.15.2013. Good day for new music. Love it. Might like it more than Lightning Bolt :shock:. Is that sacrilege? Saw these guys at the DMB Gorge show. Lord Huron as well. Both were great and set the tone nicely for some great shows. I have to hand it to the DMB... thye always have quality back up performing acts.